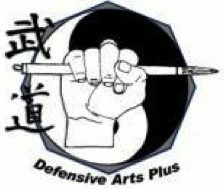 At Defensive arts Plus, you will gain the benefit of the experience of our three instructors, spanning many martial arts and many years of experience. This experience isn’t taught as a disparate collection of unrelated arts, it’s untied under a single curriculum and system of philosophies. We teach the principles behind the martial arts, not just the techniques, improving your ability for spontaneous and instinctive reactions. kicking, hand-strikes, throwing, joint locks and grappling. Modern and traditional Japanese weaponry. Thank you for your efforts in creation of this thoughtful, expansive and detailed resource; it is very well organized work in motion. some really fantastic work on behalf of the owner of this web site, absolutely outstanding articles. Thank you so much, Tonita! Very kind of you to say. I would like to get across my respect for your kindness for visitors who actually need help with your content. Your very own commitment to getting the solution across had become astonishingly productive and has in every case enabled guys and women like me to get to their goals. Your own interesting help signifies a whole lot a person like me and much more to my office colleagues. Thank you; from everyone of us. A lot of thanks for your entire hard work on this website. My daughter really likes making time for investigations and it’s easy to see why. I learn all relating to the compelling manner you make vital tactics via the web site and therefore invigorate contribution from some others about this subject matter and our own child is in fact studying a lot. Enjoy the rest of the new year. You’re the one performing a terrific job. Thank you very much for your comments. I’m honored by your comments and happy you find this info helpful. Best of luck in your and your daughter’s studies, and happy new year to you both! A lot of thanks for all of the hard work on this blog. My mum delights in going through research and it’s really obvious why. My partner and i know all about the dynamic form you convey useful tips via the website and improve contribution from visitors about this point and our favorite princess is in fact understanding a lot of things. Take advantage of the remaining portion of the new year. You are always performing a pretty cool job. I just wanted to develop a message to appreciate you for some of the remarkable techniques you are sharing on this website. My time intensive internet research has finally been recognized with beneficial concept to share with my two friends. I ‘d admit that many of us website visitors are undoubtedly fortunate to exist in a magnificent community with very many marvellous individuals with very helpful advice. I feel truly grateful to have used your web pages and look forward to tons of more amazing minutes reading here. Thank you again for everything. I wanted to post you that little word to thank you so much the moment again over the remarkable secrets you’ve discussed on this site. This is really unbelievably open-handed with you in giving publicly precisely what a lot of people could possibly have sold as an electronic book to earn some dough for their own end, principally considering that you might well have tried it if you ever considered necessary. These principles in addition served as the great way to recognize that most people have a similar passion like my personal own to know significantly more with reference to this issue. I am sure there are millions of more pleasant sessions in the future for people who view your site. Thank you very much, Nike Rose. I really appreciate your kind words. I agree totally with your remarks. I understand that there are people who practice and teach the martial arts full-time and so they need to charge money for such great resources, so they too can live well, and the rest of us benefit form their advice and personal studies. However, I make my living elsewhere, and so I am very free and open with the info I have for my 28 years of studying the martial arts. Thank you, again for your comments!